What Are the Penalties for Not Providing Workers’ Comp to Employees? The California workers’ compensation program is in place to protect employees in the event of work-related injuries. According to the California Labor Code Section 3700, all California employers must provide workers’ comp benefits to employees – any business that employs one or more employees must satisfy this law. The state of California takes the workers’ compensation program very seriously. Failure to obey workers’ compensation laws can lead to the Division of Labor Standards Enforcement (DLSE) shutting down operation and penalizing negligent employers. To learn more about employee rights, speak to an Orange County workers compensation attorney today. In California, it is a criminal offense not to have workers’ compensation coverage for employees. Section 3700.5 of the CA Labor Code defines failure to have workers’ comp coverage as a misdemeanor, punishable by imprisonment of up to one year in the county jail and/or fines of not less than $10,000. In addition, the state has the right to penalize illegally uninsured employers up to $100,000. The DLSE will assess a penalty of either twice the amount the employer would have paid in workers’ comp premiums during the uninsured time (determined according to subdivision) or the sum of $1,500 per employee during the uninsured time – whichever is greater. If an injured employee files a workers’ comp claim with the Workers’ Compensation Appeals Board, and the judge finds the employer guilty of illegally failing to secure insurance, the uninsured employer may face penalties of up to $10,000 per employee on the payroll at the time of the original worker’s injury. This occurs if the Appeals Board finds the worker’s case to be compensable. Otherwise, the employer faces $2,000 per employee on the payroll at the time of the injury, up to a maximum of $100,000. Effective January 1, 2011, the DLSE can issue a stop order at the time of discovering the issue. The stop order prohibits the employer from using employee labor until it obtains coverage. Failure to observe the stop order is a misdemeanor, punishable by up to 60 days in the county jail and/or fines of up to $10,000. At the time of the stop order issuance, the DLSE will also assess penalties of $1,000 per employee on the payroll, up to $100,000. The Uninsured Employers’ Benefit Trust Fund may contact an illegally uninsured employer in pursuit of reimbursement of expenditures from the employer. The UEBTF will explore all available avenues to find the funding, including liens against the employer’s properties. What Happens If I Get Hurt at Work and They Don’t Offer Workers Compensation? If a worker suffers an injury on the job while an employer does not have insurance, the employer is responsible for paying all bills related to the injury. In addition, the employee will have the right to file a personal injury claim against the employer. This claim is for the negligence of the employer in failing to carry insurance, as the law requires. In a civil claim, if found guilty, the courts may penalize the employer by having to pay for the injured worker’s medical bills, lost wages, lost the capacity to work, pain and suffering, disability, and more. In California, there is currently no damage cap on personal injury claims (other than in medical malpractice cases). Recently, the Monterey County District Attorney, Dean. D. Flippo, made an announcement regarding an employer found guilty of failure to secure workers’ comp insurance, Fernando Sanchez. This was Sanchez’s second conviction for the same offense. The courts placed Sanchez on probation for three years, plus 40 days in county jail and a $10,000 fine to the Uninsured Employers Fund. Sanchez must also maintain workers’ comp insurance for all employees. 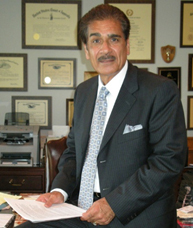 Sanchez is an example of what can happen to employers who fail to fulfill the legal requirements for workers’ compensation insurance in California. To report an employer for failing to have workers’ compensation insurance, contact your nearest Labor Commissioner’s Office. Federal law and the laws of all of the states prohibit discrimination in transactions dealing with the rental, sale, financing or appraisal of housing. Federal and California laws prohibit discrimination based on race, color, gender, pregnancy, religion, national origin, disability or family status. California law provides even more protection against discrimination than federal law in many situations. For example, California law prohibits landlords from asking prospective tenants about their immigration status. And California prohibits discrimination based on marital status, sexual orientation or arbitrary categories that have nothing to do with being able to be a good tenant. Examples of illegal arbitrary categories include union members, members of certain religions or political parties or occupations such as bartenders. The manager says that there are too many people in the family for that rental unit. No rental unit can be limited to one person because that would eliminate families. Any limit on the number of people allowed to occupy the unit must be based on a legitimate business necessity. And, even if there is a business necessity, landlords must use a less restrictive means to achieve it, if possible. In those cases where judges have allowed occupancy limits, legal experts have established that the limits are reasonable and necessary to avoid serious and provable harm. La ley Federal y las leyes de todos los estados prohíben la discriminación en transacciones que tratan sobre el arrendamiento, venta, financiamiento o valoración de las viviendas. Las leyes Federales y de California prohíben la discriminación basada en la raza, color, género, embarazo, religión, nacionalidad de origen, incapacidad, o estatus familiar. En muchas situaciones la ley de California provee aún más protección contra la discriminación que la ley federal. Por ejemplo, la ley de California prohíbe que los caseros le pregunten a los posibles inquilinos su estatus migratorio. Y California prohíbe la discriminación basada en el estado marital, orientación sexual u otras categorías arbitrarias que en nada tienen que ver con poder ser un buen inquilino. Ejemplos de estas categorías incluyen miembros de sindicatos (uniones), miembros de ciertas religiones o partidos políticos u ocupaciones como cantineros (bartenders). El gerente dice que son demasiadas personas en la familia para la unidad a rentar. Ninguna unidad de renta debe estar limitada a una sola persona porque ello eliminaría a las familias. Cualquier límite en el número de personas permitidas para ocupar la unidad debe estar basado en una necesidad comercial legítima. Y, aún si hay una necesidad comercial, los gerentes deben usar, de ser posible, medidas menos restrictivas para solucionarla. En aquellos casos donde los jueces han permitido límites a la ocupación, los expertos legales han establecido que dichos límites son razonables y necesarios para evitar daños probables y graves. In 2012, the state passed Senate Bill 863. The bill introduced several reforms for the workers’ compensation system. While the true value of the reforms will take years to manifest, the state is already seeing positive changes. In late 2016, the Workers’ Compensation Insurance Rating Bureau (WCIRB) released a cost-monitoring report of the reforms in SB 863. The report discovered that annual system-wide savings is around $1.3 billion or 7% of total costs – a remarkable savings rate. At first glance, increased annual savings in the workers’ compensation program may make some employees worry about coverage. In practice, the reforms set forth in SB 863 offer benefits for both employees and employers. The two overarching goals of the bill are to increase permanent disability benefits and to reduce costs and benefit delivery times across the system. Increasing permanent disability benefits and simplifying the disability rating method. Implementing independent medical reviews to streamline dispute resolution. Implementing independent bill reviews to streamline payment dispute resolution. Simplifying the voucher system for supplemental job displacement. Offering additional benefits for workers who demonstrate disproportionate wage loss. The program is on par with initial projections for weekly permanent disability limits for injuries in 2013 and 2014. The bill’s changes to spinal surgical implant procedure payments have saved about $5,000 more per procedure than originally expected. The program has met expectations for a 25% reduction in facility fees associated with ambulatory surgical centers. Changes to physician fee schedules were originally projected to increase physician costs, but have, in fact, lowered payments per claim by 9% since 2013. A cumulative 10% decline in treatment costs due to changes across lien payments, independent medical reviews, independent billing reviews, medical provider networks, and other service areas. A higher than expected independent medical review request frequency. In fact, the volume of requests in 2016 represents an all-time high. An increase of 5,550 expedited hearings for treatment disputes. Lawmakers expected the independent medical review process to largely eliminate these types of hearings. No indication of savings in temporary disability duration from the implementation of independent medical review and medical provider network. Pre-reform levels or higher costs associated with medical-legal expenses, utilization review costs, litigation costs, and ALAE costs. A higher than expected indemnity claim frequency. The 86-section reform bill brings many complex changes to the California workers’ compensation program. Cost-monitoring reports give the state a way to gauge progress and identify the strengths and weaknesses of the plan in action. It also gives context to the immediate changes employees and administrators notice on a daily basis. Cost savings and experiential reports over the next few years will better reveal the impact of the reforms on covered employees, employers, and insurers. Unfortunately, cost reporting does not provide insight into the everyday employee’s compensation experience. Some of the reforms, including the independent medical review process, can prevent injured employees from receiving much needed prescription drugs and medical treatments. Cost savings may relieve some financial burdens within the system but create new service issues. If you’re concerned about how the reforms may affect your workplace injury claim, discuss your situation with a workers’ compensation attorney. Depending on your injury, the bill could help or hinder your claim. An attorney who understands how SB 863 has changed the program can help you fight for your right to fair compensation.